NHL Auctions and the MeiGray Group are giving you the chance to bid on Pat Burns Memorial game-worn and jerseys from the New Jersey Devils. Each jersey was autographed by the entire team!! 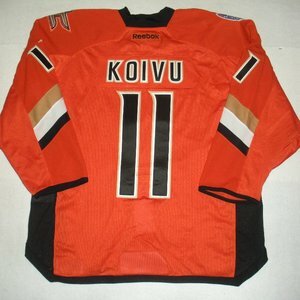 Choose from jerseys worn and autographed by Ilya Kovalchuk, Patrik Elias, Jason Arnott, Colin White and more!! 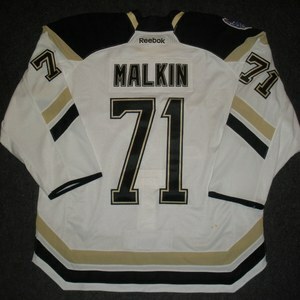 NHL Auctions is giving you the chance to bid on line-up cards from the 2010 Stanley Cup Playoffs!! Choose from line-up cards from the following series: Blackhawks vs. Canucks, Sharks vs. Red Wings, Flyers vs. Bruins, Canadiens vs. Penguins and more!! All Line-up Card Auctions start at $1!! Brodeur & Crosby Milestone Line-up Cards!! NHL Auctions is giving you the chance to bid on Martin Brodeur and Sidney Crosby milestone line-up cards!! Martin Brodeur's 1,000th career game line-up card. Brodeur is the 2nd goalie goalie in NHL history to reach the 1,000th game mark!! Sidney Crosby's 300th career game line-up card. In addition, Crosby also recorded his 1st career shorthanded goal in the same game!! More line-up cards also available! 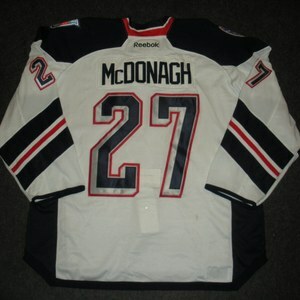 NHL Auctions and the MeiGray Group are offering you the chance to bid on game-worn jerseys from the New York Rangers, New Jersey Devils, Edmonton Oilers and Vancouver Canucks. 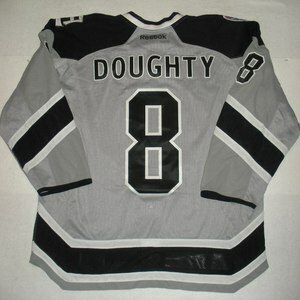 Choose from jerseys worn by John Madden, Curtis Sanford, Petr Nedved, Matt Greene and more!! Martin Brodeur's 552nd Win Line-Up Card!! NHL Auctions is offering you the chance to bid on the official NHL Line-up Card from Martin Brodeur's 552nd win against the Chicago Blackhawks!! 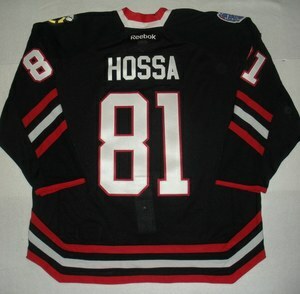 On March 17, 2009, the New Jersey Devils defeated the Chicago Blackhawks 3-2. With that win, Martin Brodeur became the winningest goalie in NHL history. In addition to Brodeur's feat, Patrik Elias recorded his 702nd point as a New Jersey Devil, becoming the all-time franchise points leader. Bidding ends on May 16!! 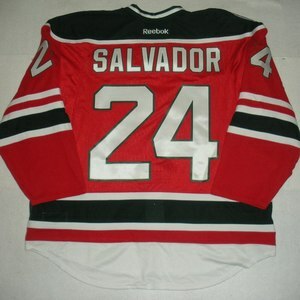 NHL Auctions is offering you the chance to celebrate Martin Brodeur's amazing feat with one of a kind memorabilia!! Choose from Brodeur signed photos, signed jerseys and trading cards!! 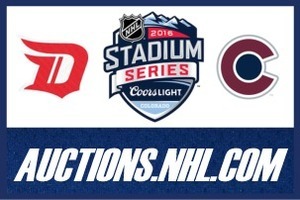 The Buffalo Sabres and NHL Auctions are proud to present you with the opportunity to see the Sabres live against some of the NHL's most exciting teams and players. Check out games against the Bruins, Penguins, Lightning, Predators, Devils, Maple Leafs, Islanders, and Capitals!! 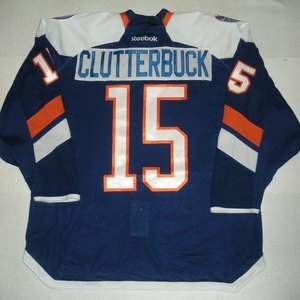 Proceeds go to the Buffalo Sabres Foundation.